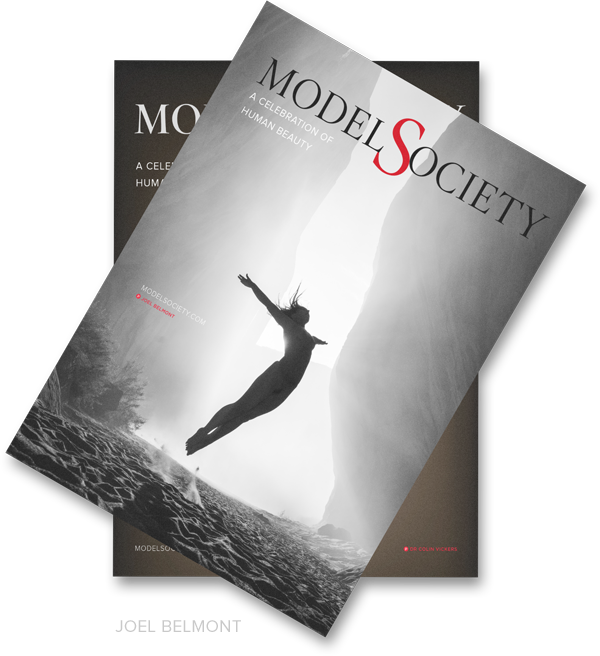 Subscribe to Model Society Magazine, where the finest models, photographers and artists are creating images to touch your heart and take your breath away. Model Society Magazine celebrates the human form in the peak of its physical beauty, AND honors the miraculous beauty of the entire human journey. No risk 14-Day free trial. If you decide to stay subscribed after the trial period, your digital subscription is only $29 $35 (billed annually). Why do I enter my credit card for a free trial? This reduces fraud which helps us deliver better service to supportive customers. It also allows your subscription to continue after your free trial, should you choose not to cancel. There is no charge during your free trial and you can cancel at any moment before your trial ends. Welcome to Model Society Magazine! My name is David Bollt, and I’m the founder of Model Society. I want to say hello and thank you for believing in human beauty. My promise to you … At Model Society, you will experience humanity through the eyes of the world’s greatest models, photographers and artists. To inspire you and touch your heart, we will be sharing handpicked images and articles that explore the entire spectrum of human beauty. You’ll enjoy some of the world’s best art, as we introduce you to the creative talents who are at the core of this emerging movement. We invite you to break free from the cultural hypnosis of beauty standards and reclaim your experience of human beauty as your own. Thank you for joining us in the celebration of human beauty. Digital publishing allows us to include extra pages, extra images and more great content. Each of our quarterly issues is jam-packed with bonus pages with beautiful imagery. As a subscriber, you’ll also get private special edition publications and mini-issues that highlight the art and careers of our most renowned talents. With each issue you’ll have easy access to download a high-res magazine file that you can enjoy on any PC, tablet or mobile device. Embrace a fuller experience of human beauty as you enjoy great works of art featuring fine art models of all shapes and sizes. Nothing is more beautiful than an unfiltered expression of who and what you really are. One look at these models and you’ll see a beauty that transcends fabricated standards and definitions. The light that shines from these pages is something we all can embody, the moment we allow our authentic selves to be seen. BONUS – For a limited time get 5 bonus issues FREE with your 14 day trial. When you subscribe, you’ll get instant access to our current issue + 5 free bonus issues just for giving it a try. Simply create an account when you begin your free trial, and we’ll send you download links for you to enjoy hundreds of pages of compelling articles that feature renowned art models, hand picked images and world class photography. We’re confident that you’ll love the awe-inspiring talent within Model Society Magazine, and we want you to feel good about your decision to support our efforts. Sign up today for free, and if you decide the gorgeous imagery in Model Society Magazine is not for you, then simply cancel your subscription in the first 14 days, and you won’t be charged a single cent.